Royalty-free vector clipart of a mad little girl standing up and clenching her fists as steam rises from her head. Royalty-free vector clipart of a little girl with an angry face and steam clouds billowing from her ears. 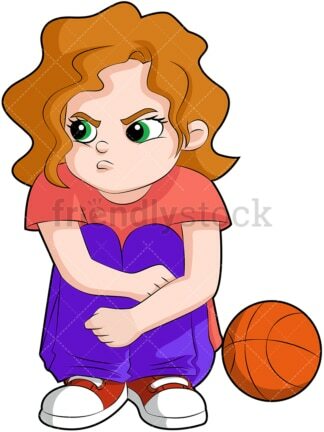 Royalty-free vector clipart of a little girl sitting on the ground with her arms crossed over her legs, basketball by her side. She looks upset. 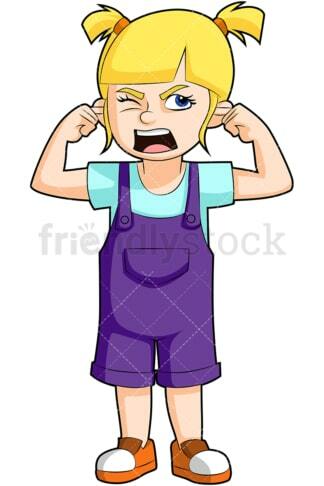 Royalty-free vector clipart of vector clipart of a young girl covering her ears with her hands and yelling. 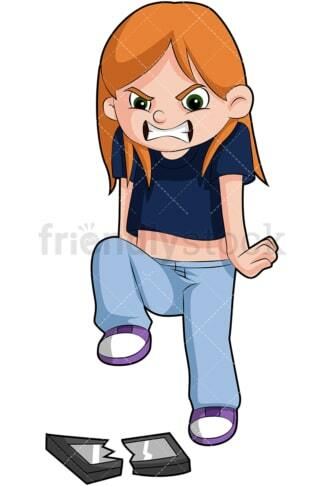 Royalty-free vector clipart of a little girl stomping on her broken device and losing her temper. Royalty-free vector clipart of a mad little girl standing with her hands on hips, with a mean expression on her face. Somebody’s in big trouble! Royalty-free vector clipart of an angry little girl pointing her finger and leaning toward something. 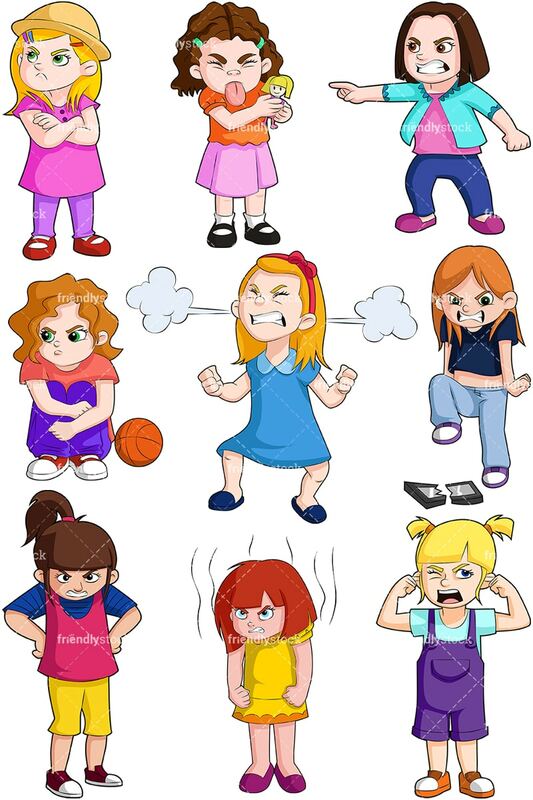 Royalty-free vector clipart of an upset little girl in a pink and purple outfit, showing her mad face. She’s wearing a cute hat and red shoes. 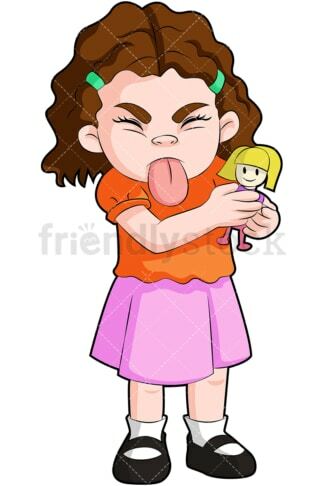 Royalty-free vector clipart of a little girl dressed in orange and pink, sticking her tongue out while holding a doll.